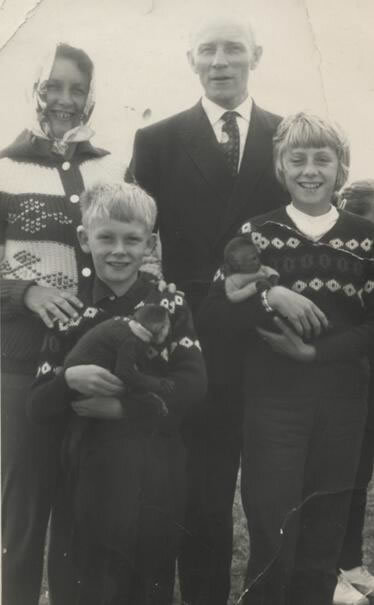 Thelma and Bruno Poyda once lived at Hendy Farm, Glanamman. Bruno was from East Germany and settled in the Britain after the second world war. The family moved to Coventry for a time, where Bruno worked at "The Valves", next to the Bristol Sidley Factory (Bristol Sidley was taken over by Rolls Royce). When they returned to Cwmamman, they lived at Hendy Farm on Grenig Road, Glanamman. Pictured here with them are two of their children. Thanks to Trevor Poyda for this contribution.